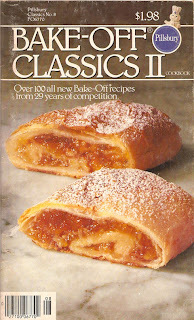 While cataloging my cookbooks I of course had to stop and read through some of them. 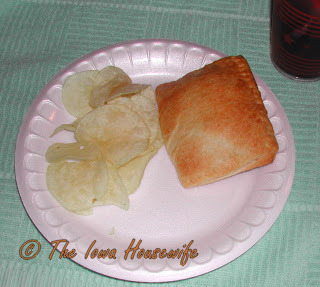 Came across this recipe for Tuna Salad sandwiches with a twist and thought I would try them. My Daughter and Grandson came over to eat them with us and everyone thought they were excellent. I did not do the cheese slice on top as no one wanted to try it. 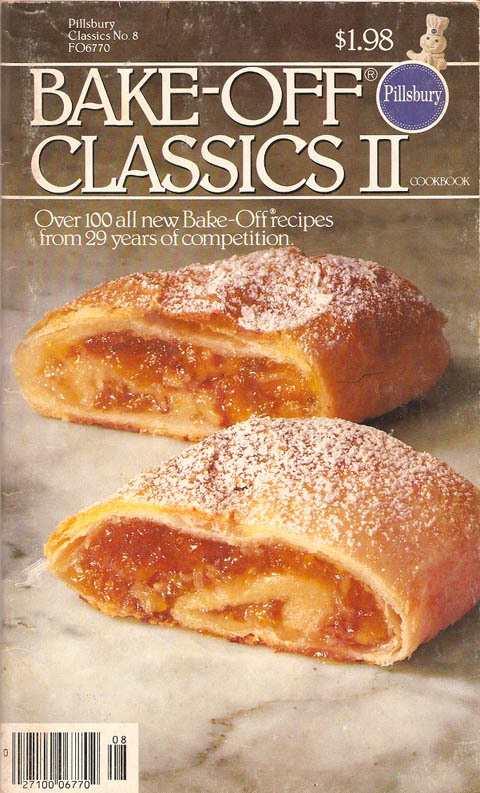 There are several other good recipes in this book Bake-Off Classics II by Pillsbury. 1981. These cookbooks were available in grocery stores and other stores like Walmart up until the last year or so. Hopefully Pillsbury and Gold Medal and Kraft will start printing them again. If you have any of them, be aware that they are not printing them on a consistent basis anymore. Heat oven to 375°F Combine tuna, celery, pickle, water chestnuts, if using and salad dressing. Separate crescent dough into 8 rectangles; firmly press perforations to seal. Spoon about 1/2 cup tuna mixture on one end of each rectangle;. Fold dough in half over filling; press edges with fork to seal.